The classic folding wallet is crafted from supple nappa leather and hand-woven in the intrecciato motif, a house signature. It displays a graphic check pattern and opens to a contrast-color in smooth nappa. 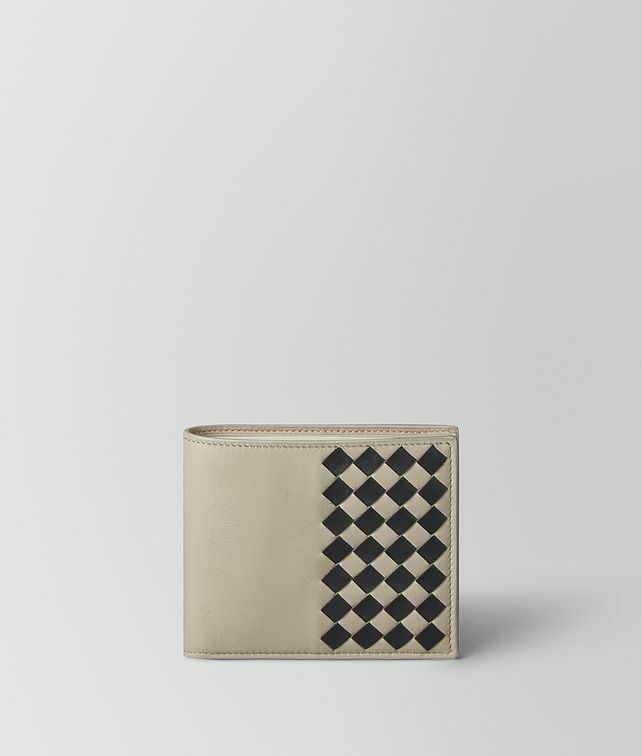 This style features eight card slots and a compartment for notes.